Montecito had a population of 8,965 in 2010. 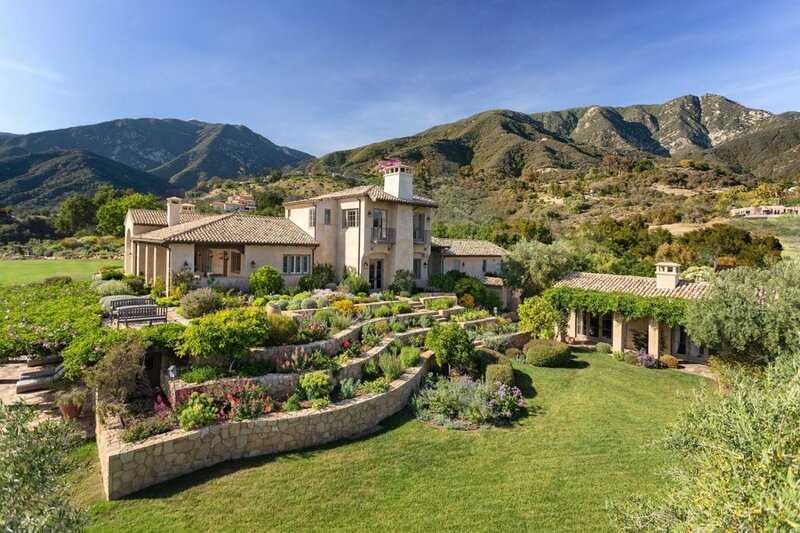 A number of celebrities including Oprah Winfrey, Jeff Bridges, Rob Lowe, Ellen DeGeneres, Megyn Price, Eric Schmidt, Steve Martin, Carol Burnette, Julia Louis-Dreyfus and Jimmy Connors own Montecito homes. It boasts some of the most spectacular and expensive real estate in the United States, particularly above East Valley Road for its perfect micro climate along the coast. Montecito has 3,010 single-family dwellings. The community is consistently ranked by Forbes magazine as one of the wealthiest communities in the United States. According to the Montecito Community Plan, Montecito is bounded on the north by East Camino Cielo Road; on the east by Ortega Ridge Road and Ladera Lane; on the South by the Pacific Ocean. Montecito occupies the eastern portion of the coastal plain south of the Santa Ynez Mountains. Parts of the town are built on the lower foothills of the range. Notable roads spanning Montecito include East Valley Road, Mountain Drive, and Sycamore Canyon Road, all of which form part of Star Route 192. In addition, the U. S. 101 Freeway runs along the south end of town, connecting it with other cities in Santa Barbara County and the rest of Southern California. In the middle of the 19th century the area was known as a haven for bandits and highway robbers, who hid in the oak groves and canyons, preying on traffic on the coastal route between the towns that developed around the missions. By the end of the 1860s the bandit gangs were gone, and Italian settlers arrived. Finding an area reminiscent of Italy, they built farms and gardens similar to those they had left behind in Italy. Around the end of the 19th century, wealthy tourists from the eastern and midwestern United States began to buy land in the area. It was near enough to Santa Barbara for essential services while still being secluded. Desirable weather and several nearby hot springs offered the promise of comfortable, healthy living, in addition to the availability of affordable land. The Montecito Hot Springs Hotel was built near the largest of the springs, in a canyon north of the town center and directly south of Montecito Peak, in Hot Springs Canyon. The hotel burned down in 1920; it was replaced a few years later by the smaller Hot Springs Club. The architect George Washington Smith is noted particularly for his residences around Montecito, and for popularizing the Spanish Colonial Revival style in early 20th century America, as is Lutah Riggs, who started as a draftsman in Smith's firm, rose to partner, and later started her own firm. Montecito experiences a cool climate characteristic of coastal Southern California. 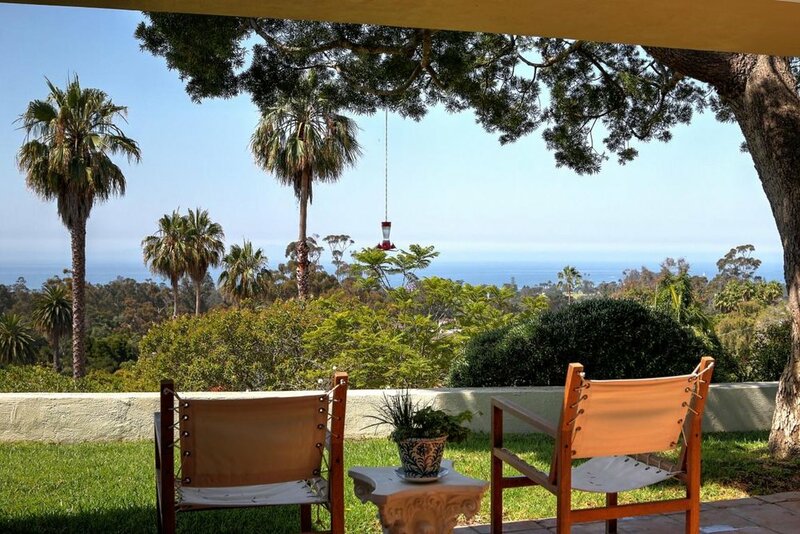 Because of Montecito's proximity to the ocean, onshore breezes significantly moderate temperatures, resulting in warmer winters and cooler summers compared with places further inland. With its gentle Mediterranean climate, Montecito has long been a desirable location for nursery men and gifted horticulturists. March and April are the months to watch gray whales migrate north from Mexico through Santa Barbara Channel.